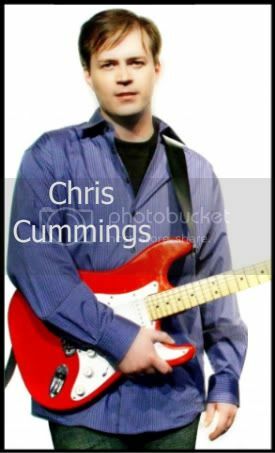 Canadian Country artist Chris Cummings has released five albums, racked up multiple hits at Canadian Country radio & had several number one videos on CMT Canada. In addition, he's earned multiple CCMA, RPM, ECMA, and Juno nominations as well as a Grammy nomination for a song of his recorded by Alabama. You'll know his hits - "I Waited", "Lucy Got Lucky", "The Kind Of Heart That Breaks" & "No One Hurts Me More Than Me" - to name just a few. His new album, Give Me Tonight, is a winner with existing fans and continues to win him new fans - with songs like his current radio single, "Leaving's Not An Option". It all began in 1990 when Chris released an independent CD which found its way to Reprise Records president Jim Ed Norman. Chris signed onto the label in 1992. At that time, just 17 years old, he was the youngest artist they had ever signed. Over the years, he's written songs with some of Nashville's top hitmakers and toured with big names like George Jones, Garth Brooks and Dwight Yoakam. Tune in to hear stories from past to present along with some songs from the new album.